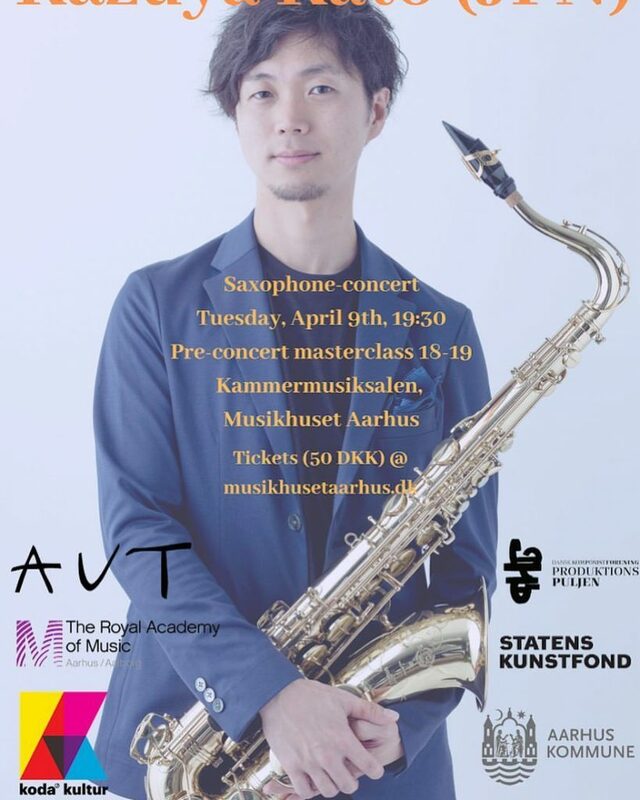 Extended Waltzer (for alto saxophone) and Saxophone the Relay (for amplified alto saxophone) will be performed by Kazuya Kato, at The Royal Academy of Music, Århus on 9th April, 2019. Takashi Tokunaga (* 1973) : Autopoietic Motion for alto saxophone solo (2018) EU pr. Hiroyuki Yamamoto (*1967): Saxophone the Relay for amplified alto saxophone (1999) EU pr. Osamu Kawakami (*1979): Pellucid hawkmoth for alto saxophone solo (2018) EU pr. Hiroyuki Yamamoto (*1967): Extended Waltzer for alto saxophone solo (2017) EU pr.